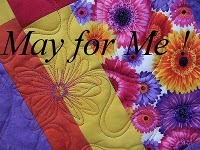 Where Creativity Blossoms: Project QUILTING Guest Judge – Meet Amy Ellis of AmysCreativeSide! 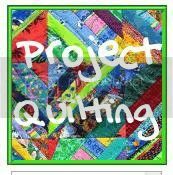 Project QUILTING Guest Judge – Meet Amy Ellis of AmysCreativeSide! 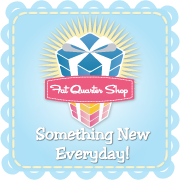 I'm Amy, a wife and mom to four great kids - and I blog daily at AmysCreativeSide! I learned to sew garments as a girl, around 10 years old I was asking my mom to teach me to sew. Being that she is left handed, she enrolled me in the local 4-H program, so that she wouldn't teach me backwards (her fear, not mine!). For the next 6 or 7 years I sewed garments and had fun showing them at local fairs. Off to college, I didn't have the chance, or equipment to sew, but as soon as I had my first baby (at 23) I had the bug to sew again! Fabric has always been my first creative love. 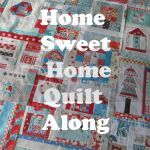 With my own children, I had a very strong desire to quilt and over the last 10 years have been quilting. At first just here and there, but as I understood more, it became more of an outlet on a regular basis. I love that once complete, it doesn't need to be re-done, unlike all the laundry and dishes. Modern Basics: Easy Quilts to Fit Your Budget, Space and Style, available to share with my friends and fans online - it has been quite the journey! My motto in life is - "It doesn't hurt to ask!" Because you never know, they might just say yes! 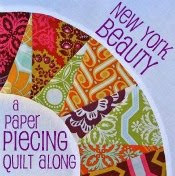 I host the Bloggers' Quilt Festival twice yearly. 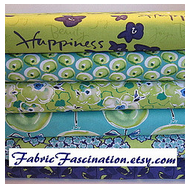 BQF coincides with Market, giving all of us not at Market, a lot of eye candy to keep us busy! If you haven't joined us yet, I encourage you to join this spring. 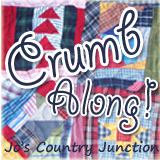 There's no entry fee, no required skill level, and you can enjoy it in your jammies on your couch! Thanks so much to Kim and her team for putting this fun challenge together and having me as a judge, I can't wait to see what everyone creates!